If you made it here from a website somewhere else, you may want also to read the first part of the trip that started in Calgary then to Jasper National Park. 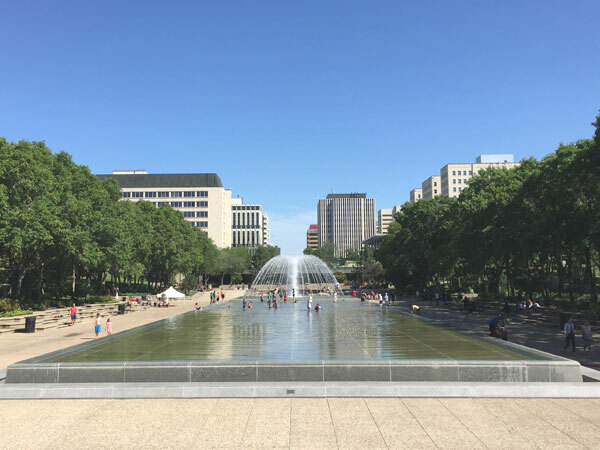 Or why not jump straight to the second part and find out the places to visit in Edmonton, Alberta. My friends thought it was a good idea to spend the night in Sands Inn & Suites in Edmonton instead in a hotel in Jasper. And they were right. Sometimes it’s best to stay at the back seat and enjoy the view. My pancake breakfast reminded me that it was the first day of the Calgary Stampede and we missed watching the parade. Oh well, there’s another year and another and another. 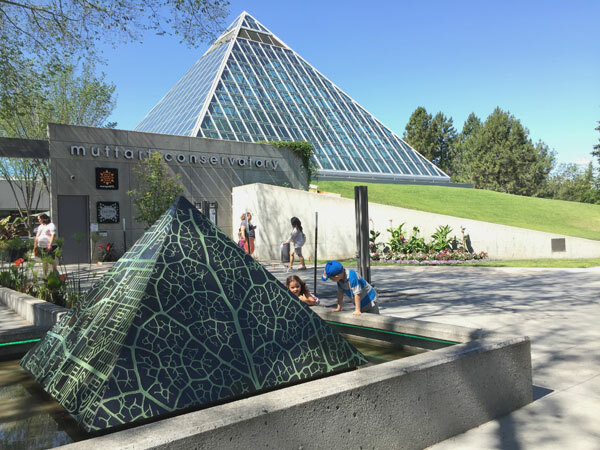 For the meantime, let’s see where Edmontonians spend their time. Time for art and history immersion. 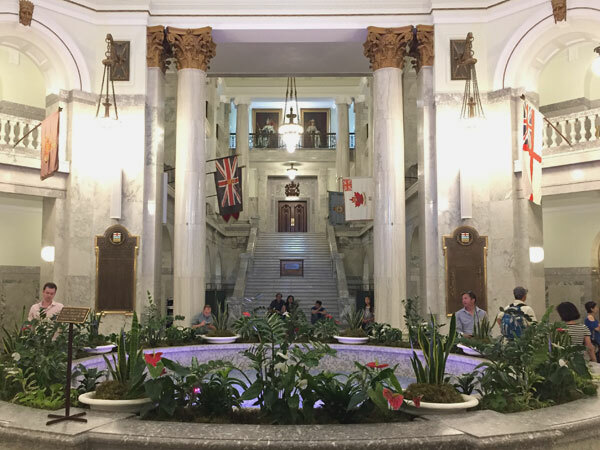 It’s a must that we visit the Alberta Legislature Building which is built between 1907 to 1913. There’s nothing like it in Calgary. Just saying the fact. We were excited to see what’s inside this $2 million worth of architecture. The sign at the front showed the free tour schedule. All hands on deck! Unity for history. Eh? It was easy to wait knowing that we wouldn’t be able to tour the building by ourselves. The work of arts outside the building were enough to keep us busy. And there’s a public washroom so I know I was saved. The lobby is the meeting place of the tour. “Anaheim.” “San Francisco.” “Calgary.” That was my friends and I saying where we came from as we reached for the visitors ID. Ladies and gentlemen may I present the premiers of Alberta. 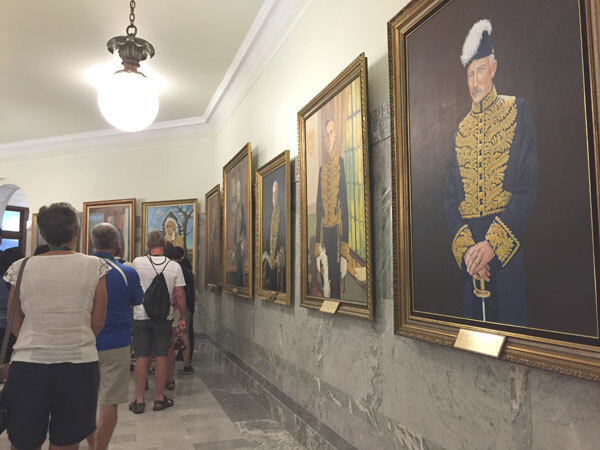 FYI: Alexander Cameron Rutherford was the the first premier of Alberta from 1905 to 1910. I wasn’t sure if it will be asked in a Canadian citizenship test. Joining a tour is the best part to learn about a place. We learned fun facts about the building but my favourite is how the mace of Alberta was made. What are the odds of a junk art having high regard in a multi-million historical place? History says 100% as proven by the first Mace of Alberta that was made of scrap. Creativity made it look regal. Some of the odd materials of the mace includes a float from a toilet tank and red velvet cushion from a chair. If that wasn’t enough to brighten up your day, then here’s another trivia. 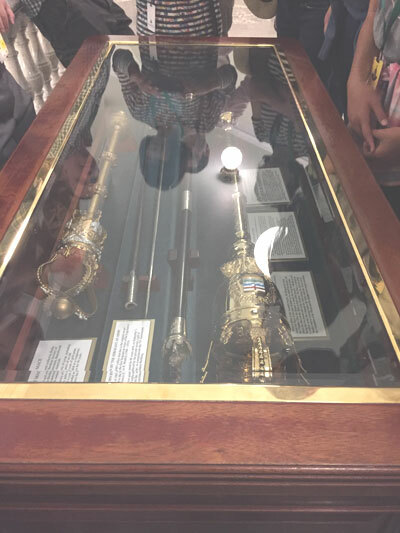 The mace was used in the Legislative Assembly for 50 years. Is it a case of frugality or sentimentality? Both maybe. The tour lasted for about 45 minutes or less. When we went out of the building the lonesome water was inundated with kids. Can adults get in? I didn’t see any childlike adults but, sure kids would probably need help or something. There was no time to watch and wonder who made this brilliant idea. From architecture, we went to experience nature in a controlled environment. The Muttart Conservatory is the home to different types of plants that lives in various conditions. It is somewhat similar to Butterfly Garden in Calgary Zoo. 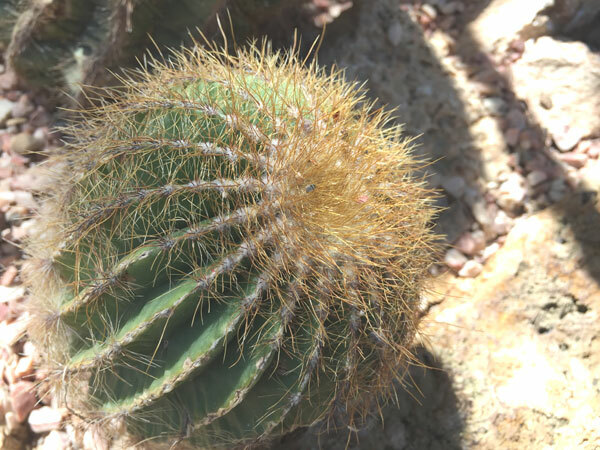 My favourite part of the Conservatory is the Arid Garden, home of the cacti. Although it was a little hot inside, I didn’t mind the temperature at all. This garden sparked my dream of having a cactus at home and making it last beyond a month. Seriously, it’s a tough job than raising a lettuce. 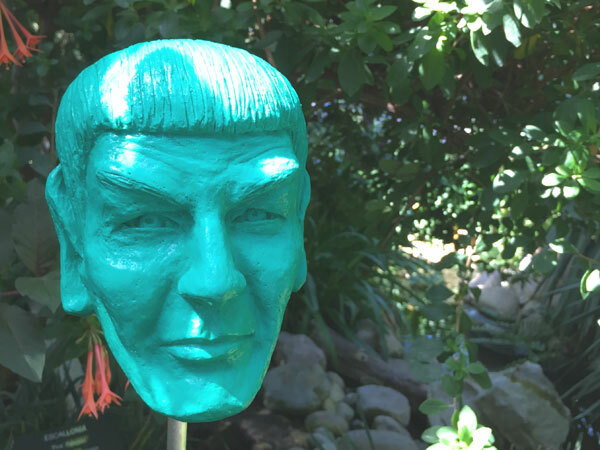 Aside from plants, the gardens are adorned with arts for sale like the Spock head figure. I also saw dragon, fairy, and Steve Job figure. 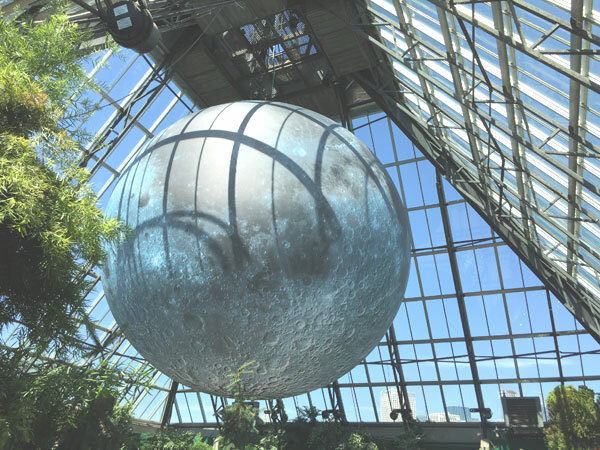 The Museum of the Moon is a temporary art installation by Luke Jerram. Visitors have the chance to see it from June 30 to September 1, 2018. From here it will move to Zsolnay Light Festival, Pecs, Hungary and to other locations around the world. Fun Fact: The looks resemble the image of the moon taken by NASA. Time for a cool air and lunch. Lately I am fixated with vegetarian Pad Thai, sans chili but with oodles of tofu and noodles. I’ll digress a bit. 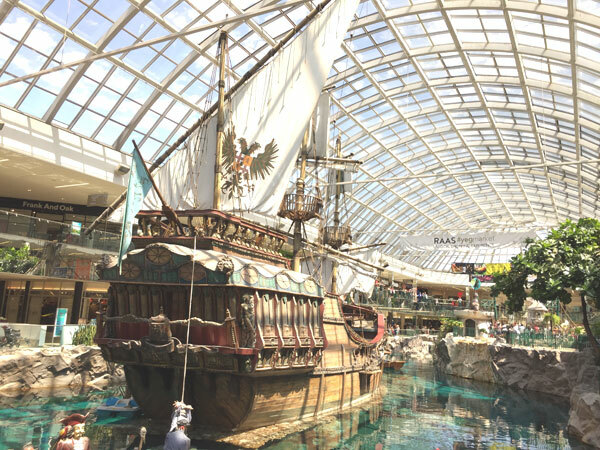 I first learned about West Edmonton Mall when I was in college researching for a point of sale system (POS) for a Computer Science thesis. We aced the defence of the thesis. 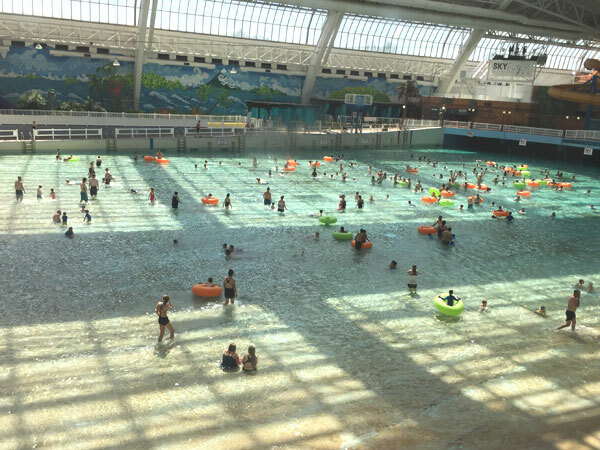 Eons of years later, I was in the West Edmonton Mall, the largest mall in North America. Yes! Life is a mystery but I never ever want to write a thesis again. Ever! Viewing from above, I commend the kids doing the things that I can only do in my dreams: swimming and ziplining. These are the active future of humanity. As for me, I’ll keep my feet on the ground walking, hiking, biking, and sometimes running. There are many lessons we can learn on the road and from grandpa who enjoy travelling on his own. Most importantly, he taught me to ask. Ask strangers to take a photo of you and do the same for them. Keep a memento even if you wouldn’t print it. You have a proof with a timestamp (unless you turn it off in the setting). 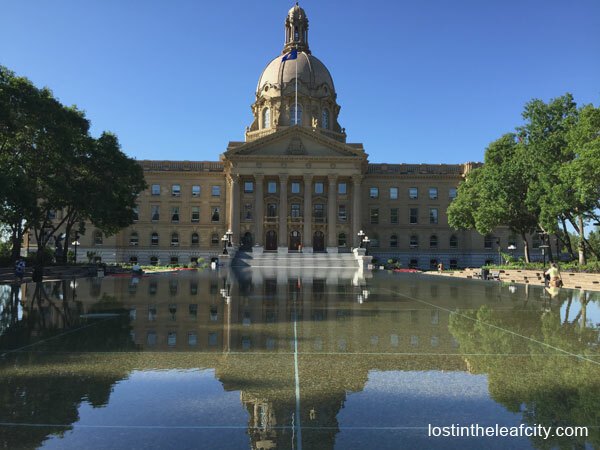 I hope you enjoy the trip and get to visit the places in Edmonton that I’ve mentioned in this post and even more.